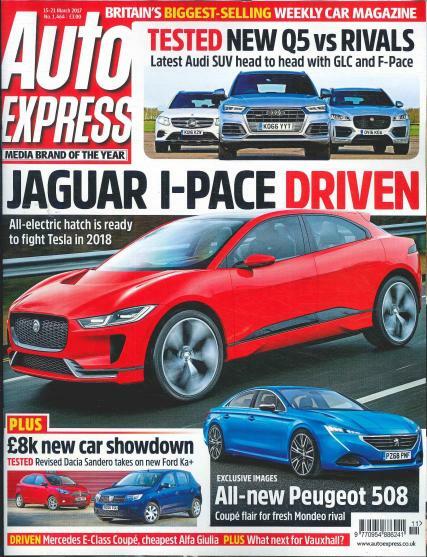 Each issue of Auto Express magazine has never before seen exclusives on the newest models before they hit the streets, while at the same time brining you the first illustrations and pictures of new models and concepts. Buy a single copy or subscription to Auto Express magazine. Whether your entire life is dedicated to your passion for cars, or if you are just looking to learn a little more about the motorist scene, then Auto Express magazine is considered to be the best magazine for you. Auto Express magazine is strongly passionate about both modern and classic cars, maintenance and performance, and the entire lifestyle revolving around the devoted motorist today. It features and personally tests thousands of new cars and models every year, and therefore they have the most comprehensive and personal reviews of cars that anybody can understand and relate to. Additionally, this magazine is packed with heaps of wonderfully written editorials covering a whole range of cars, including test drive reviews, maintenance techniques, and driving advice. Auto Express magazine is also incredibly passionate about the lifestyle of motorist as it relates to modern day society, bringing you the latest news and opinions regarding major issues that affect today’s motorists, such as rising fuel taxes, insurance cons and scams that you need to be aware of, and a whole array of safety issues to keep your motoring experience the best time of your life. Great features and really relevant content.